As the image makes it out, the comet here is a tree topper, and very often you will find a star atop a Christmas Tree. This tradition of the stellar tree topper goes back perhaps only to the 19th century as it is first mentioned in a story by Hans Christian Andersen, The Fir Tree (1844). This year, the comet has also been called a Christmas Comet as it is close to the holiday. It is also this time of year that people wonder if a comet or anything else in the sky was the Star of Bethlehem, the light that somehow sent wise men across the Middle East to worship a babe in a manger. This is not merely a story of the birth of Jesus, but it is now a story of how science and religion fit together. Every year, planetaria around the United States and even the world present ideas of what the Star might have been, a tradition that began in the 1930s and has yet to stop. The candidates are presented, and sometimes a best guess is provided in holiday shows, TV specials, or sermons to the devout. But every year, what does get passed out as a part of the figgy pudding and gift-wrapped surprises is questionable history and failed theology. Several years ago, I published one of the very few books out there that critically examines the alleged science behind the Star of Bethlehem, and using primary sources, philological analysis, and expert consensus in numerous areas, I showed how all of the attempts to explain the Star with astronomy or astrology are deeply erroneous. This year, another round of promulgations of the same tired ideas will be trotted out, and they are just as flawed as when I first began to investigate the attempt to explain the story with science. However, the real, scientific explanations of the Star are not done by the astronomers. We can show, with rigorous analysis and use of evidence, that the Star was no comet, nova, or planetary alignment. Knowing what all of those things are, how they are alleged to fit the story of the Nativity, and what is wrong with those ideas and the very approach are all discussed in my book, The Star of Bethlehem: A Skeptical View. If you haven’t already, pick up a copy or give it to a friend, enemy, or random person on the street so we can all learn a little more science, and little more history, and a little more critical thinking as we explore the time of year where we celebrate the season of merry myths. In preparation for a new book on the Star of Bethlehem, I have been exploring popular culture and how it has been affected by astronomical theories of what the Star “really” was. In my studies, I have been down plenty of interesting rabbit holes, but I thought to share one I don’t think will make it into the book. That will be unfortunate, since it connects to the 20th century’s most influential horror author: H.P. Lovecraft. There isn’t too much in the was for Christmas cheer in the Cthulhu Mythos, but one of Lovecraft’s early stories takes place (sort of) at Christmas. Published in 1925, The Festival has little in the way of traditional Yule-tide trappings, but it has plenty of Lovecratian adjectival utterances along with his creepy imagery. This was written and published before Lovecraft composed The Call of Cthulhu, so The Festival is very early in the history of him rendering his larger mythology. The themes of madness, a constant of his work, is the entire conceit of the story in which the entire tale is a fever dream based on a reading of the dreaded Necronomicon. However, there are a few interesting details from the story that are suggestive of the nature of Christmas. First, the story begins by noting that what we call Christmas is “older than Bethlehem and Babylon, older than Memphis and mankind.” (He suggests much the same in his earlier poem, “Old Christmas.”) But what about it that we associate with Bethlehem goes back so far in time? A clue may be the earlier mention of the star Aldebaran, the eye of the constellation, Taurus the Bull. We are introduced to Aldebaran in the story with it shining at the end of a snowy road to the the town our protagonist was traveling to. After he arrives, he becomes a part of a dark ceremony, part of which is a procession to a church. When the procession reaches the house of worship, Aldebaran is seen above just on the spire of the church roof, a sight that made our first-person narrator shiver. Consider now: Aldebaran was first seen ahead on the trail to a town, and then it is again seen just above the place he was going to in an unholy procession. Was Aldebaran leading the way as the Bethlehem Star led the Magi? It seems to be more than a coincidence given the Christmas season of the tale and the earlier reference to Bethlehem itself. But if so, why would Lovecraft choose Aldebaran of all stars? As an avid reader of science, especially astronomy, Lovecraft almost certainly knew the Richard Allen’s Star Names: Their Lore and Meaning (1899), a book that is still referenced today because of its rich collection of myths and stories about the constellations. This source book has a good, long discussion about Taurus and Aldebaran. Of particular note, Allen says that the Babylonians called Aldebaran “the leading star of stars.” So here then we have a leading star known as such since Babylon and now apparently like the light of Bethlehem. That seems purposeful. Additionally, the Dog Star (Sirius) is mentioned as ‘leering’ at the procession on its way to the church; Allen’s book says that Sirius was also known as “the Leader”. So the two named stars in Lovecraft’s story were known as leader stars, and Aldebaran in particular appears to act in that fashion. The play on this part of the Christmas story is subtle, and so far as I can find no one in Lovecraft studies has made this connection. But I admit I an not enough of a scholar to know all the places to look. Nonetheless, it seems that H.P. was looking to make the rite of this festival an imitation and terrifying mockery of Nativity celebrations. As I continue to pursue as many connections as I can with my work on science, history, religion, and Christmas, I keep coming across new little things on the Star of Bethlehem. Years ago, I was told by a Mormon that the book from Joseph Smith includes two allusions to the Christmas Star (i.e., 3 Nephi 1:19–20). That usually isn’t considered an independent source, since most folks believe the Book of Mormon is a 19th century creation, not an ancient document. However, I happen to come across a truly amazing, cosmic source I had not expected. By Odin’s beard! It was nay expected. For what was shown to have been was revealed by the Eye of Odin, overpowered by the Mighty Thor! According to the ever-seeing Eye, there was a tremendous event that shook Asgard to its complete destruction, the unspeakable Ragnarok. What was shown by the eye was reproduced by the visionary master of art, Jack Kirby, in The Mighty Thor, Vol 1, No. 293 and the following issue. For the fiery destruction of heavenly Asgard was seen in the night sky 2000 years ago, producing the Christmas Star. But… of course that is how it happened! After all, it was shown to the Thunderer twice. My talk from about a month ago at MIT has been posted online and is available for all the watch. The audio quality is very good, but the video isn’t as great, so I really hope you like my voice! The Q&A is also captured, and it had many good questions for an audience sized I was happy with. This Monday, February 27th, I will be giving a talk for the Secular Society of MIT as part of a lecture series they are starting called Course 0. This will be a part of helping people engage in critical thinking on the subjects of science, religion, secularism, and many intersecting cultural areas. As is usual for me, this talk will highlight my research on the Star of Bethlehem, and because of that Christmas theme, that means people will be wearing the ugliest Christmas sweaters they can. I encourage it! This does appear to be a public event, so let’s see who all in the Greater Boston area wants to come. I’ll also have my book available. Details in the FB link here. As per my yearly tradition of pushing my work on the Star of Bethlehem (as if it were some War on Christmas or something), I was able to get my message out and how it is presented in my book. This year, I had the chance to be on podcast-style forums. First up is Slooh, an astronomy webcast that combines live telescope feeds and astronomically-informed guests. Just a few days before Christmas they had a show (well-promoted at Space.com) on about the Bethlehem Star and had a few guests, including Fr. James Kurzynski from the Vatican Observatory and Bob Berman from Slooh (and the person who wrote the foreword to my book). I make a good appearance on the show as well in the latter third. I recommend listening/watching the whole broadcast. In addition, Bob Berman used his own podcast, Strange Universe, to promote my book. Tonight I hope you can get the chance to look up and see a very good lunar eclipse, where the Moon will be in the shadow of the Earth and take on a dreadful hue of orange and red. It will also be during a so-called “super moon” in that the Moon is at the closest point of its normal orbit to the Earth and will appear somewhat larger. While not necessarily rare, it is surely going to be a good show for the night. And this lunar eclipse is going to top off a tetrad of lunar eclipses, that is where you have four lunar eclipses in a row that are about six months apart. This is also an uncommon astronomical coincidence, but it has happened numerous times in the past. Some centuries have had eight such tetrads, while others have had none. But in numerous religious circles, in particular evangelical ones, this has been getting associated with the End Times. It seems that just about anything can be said to herald the apocalypse, from the fuzzy math of Harold Camping back in 2011, the abominable abuse of the Maya calendar for 2012, and so on, and so on, and so on… Perhaps then it shouldn’t be surprising that the Bloom Moon Prophecy of folks like pastor John Hagee are making the rounds. Fortunately, astronomer and skeptic Stuart Robbins has done the hard work of looking into these tetrads and how they are not so special, nor have they really related well to previous end times or bad times predictions (see here and here). The connection to the Jewish calendar is also not that surprising or special because the Jewish calendar is based on the phases of the moon (technically, a luni-solar calendar), so being surprised of having a lunar eclipse during a Jewish holiday is like being surprised of having the solstice near the 21st of December–it’s a feature, not a bug. Will the Sacred Save Us from our own Reason? I came across an article on the blog Science on Religion a little bit ago, and it made the argument about how powerfully destructive human reasoning can be. With our brains we humans have figured out great ways to ravage the land with ever-increasing efficiency and has pushed us to the environmental limits. Unmitigated, self-serving rationality can be destructive. The solution? The need for certain cultural axioms, assumed without or beyond reason, in particular the notion of the sacred. If it is taboo to say or do a certain thing, then your create an automatic cultural brake towards all sorts of potentially detrimental behaviors. Without these cultural axioms, all sorts of doom can be expected. While thoughtfully written, with a few swipes at New Atheists and IFLS that seemed more obligatory than insightful, it left us to beg the question: which axioms or sacred beliefs? Because it seems that the author (a PhD candidate at Boston University) already has a set of goals in mind, which means he wants there to be some particular sacred beliefs in place. Not just any. Which is very much the case because some sacred beliefs would count exactly contrary to his own goals of planetary preservation. There has been a fair bit of opposition to environmentalism by American Protestants, and that has been the case for quite some time. That seems to be in part because of the belief among some that it is the sacred duty to use all of the resources of the earth, that they were placed here for a purpose. 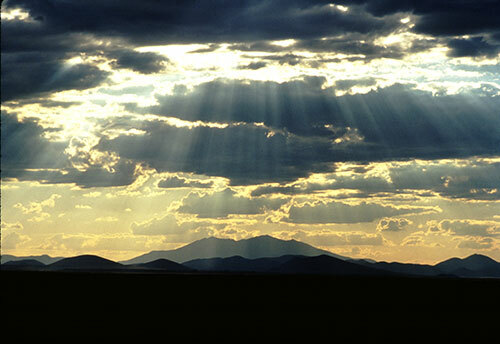 The notion of “subduing the earth” is supposed to be derived from Genesis, and that this was in part a reason for a lack of Christian support for the environmental movement was argued by L.J. White (1967) “The historical roots of our ecological crisis”, Science 155:1203-7. Much research has gone into this question, and it is still generally the case that some of the loudest opponents to combating climate change invoke biblical reasoning. So it seems that the cultural axiom of “subduing the earth” for its natural treasures is leading to exactly the sorts of doom that pure reason was supposed to have done. So how are we supposed to get the right cultural axioms? If reason is off the table, we are left with what, religious authorities? Straight-up priestcraft? This sounds more like snobbish elitism trying to control the (reasonable?) masses. Moreover, since all cultural groups, religious or otherwise, are going to have their own notions of the sacred or what constitute their cultural axioms, how do they figure out what to do when those cultures interact? How does the environmental/hippie culture deal with the slash-and-burn earth-subduers? Another holy war or two? Because if reasoning cannot decide, then what is left besides violence (a point made in part by Hector Avalos in Fighting Words)? All of this is premised on what seems to be an absurd position, that pure reason has only one goal and cares not for the consequences. It also fails to understand that reason is motivated by what we already value, and we can have conflicting values. Obviously we want to have nice things, but we also notice the negative side effects. I want chocolate cake, but I want to lose weight. I want to have a car, but I don’t want to contribute to eventual sea level rise. How do we find the right path? Well, shouldn’t we be reflecting on it and seeing what appears to be the best way forward? Shouldn’t we be using … reason? The solution isn’t more balkinization of beliefs, it’s being better reasoners and defrocking bad arguments and political stances. It doesn’t matter what is the sacred belief because of the consequences of her actions. Making the marriage debate a taboo is simply to undermine justice and freedom. Now, it is true that pure reason cannot tell us what our values ought to be. Reasoning needs premises. We might find out we have stored up in our heads inconsistent premises (which is almost certainly the case for all of us), but it is from there we winnow out a more consistent position. From this we do our meta-ethics. Not from fist-pounding at some alter of the sacred, bestowed with power by mere say-so. When you think of deep, philosophical questions, the one that is probably the most quintessential is “What is the meaning of life?” At the very least, we want to know what makes our own lives meaningful or have purpose. While religious institutions have for centuries tried to provide the structure to give answer to that question, it seems like it is not working for many people today, given the drop-out rate in the US, not to mention the secularization of many other modern nations. There have been plenty of spiritualist movements that you can point to that do the same. Heck, even Ancient Aliens is really about that as well with its mix of “science”, “history”, Theosophy, and New Agerism. On the other hand, science is often considered to be separate from values, so it’s hard to say in any way that science could tell us what is the purpose of our existence. That’s not correct from the research I have seen because science can tell us what does and doesn’t work towards living a fulfilling life. And fortunately, that academic study isn’t tucked away in a corner. Recently Gleb Tsipursky at Ohio State (who I have met and conversed with) has done a lot of work to do research-based workshops on helping people find that elusive sense of purpose. He now has a book to do the same, and I was fortunate to get a copy earlier. I like its approach since it also follows my own educational philosophies, and it is clearly following the consensus of the best knowledge we currently have on what makes people happy and fulfilled. That includes forms of meditation, though you hardly need to be a Buddhist to do it. 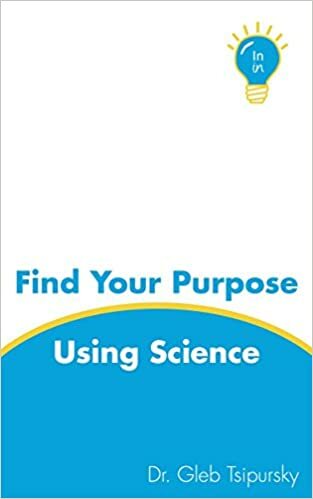 The book, Find Your Purpose Using Science, was crowd-supported and now up on Amazon, and for the next few days it’s free for Kindle/digital download. I found the book interesting in its use of not just scientific research but also some insights from how the Soviet nations were able to find meaning even though my own image of the communist regime is covered in the bleakest of greys. The book also not dryly written nor is it filled with platitudes. If you have a copy, compare it to Rick Warren’s The Purpose-Drive Life and see how different Gleb’s approach is and how more universal and useful it should be. (Of course, I would also recommend Robert M. Price’s response to Warren’s book, The Reason Driven Life). The free book offer is only for a few days, but even after it should be worth the price. While I would claim that my life feels meaningful right now, I think I can use the exercises in there to get even more out of life. Why not? Now, some details of the very early (observable) universe are well-understood. Other parts aren’t. Also, theoretical arguments can be very technical and the limitations are sometimes misconstrued to reach some conclusion. So, in this talk I get to dive into those issues, along with talking about my work and research on science explaining the Star of Bethlehem. You can listen using this link here or watching this YouTube video. I want to thank Taylor Carr for the opportunity to have this chat, along with his work getting it up and ready for everyone. We may have another chance to do the same sort of thing in the future, so let him know if that’s a good idea. If you don’t, well… you don’t have to tell anyone.